I am making view A which is the halterneck black dress in the picture…. I decided that after all my unfinished projects, I should start off with something a bit easier to practice my sewing… After that I will go back to the prom dress, the bra and making the other cushion! I really need to learn to finish projects off!! Currently I have made a toile of the bust and altered the pattern by lengthening it. 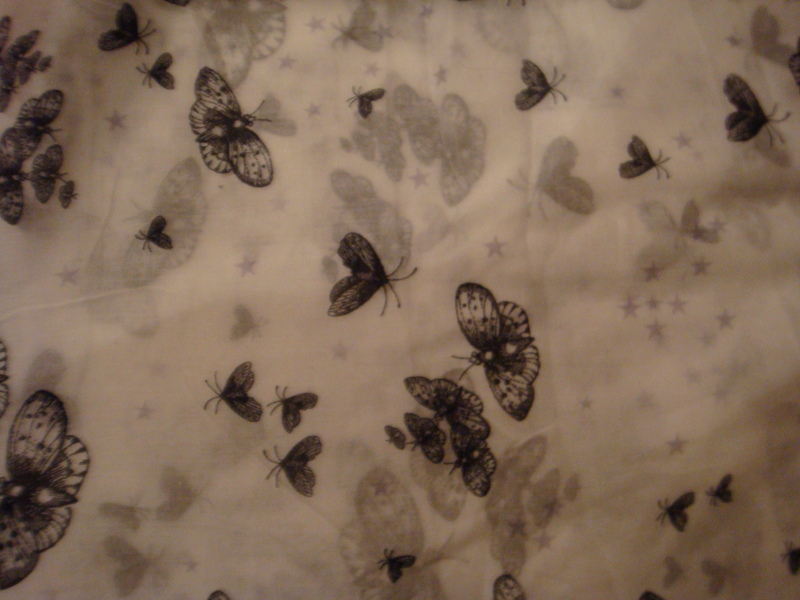 I’ve cut out the pieces in the fabric and have used plain white polycotton as an interlining. The fabric is so sheer that despite the pattern being a fully lined dress, without the polycotton you’d still see everything underneath – not the look i’m after!